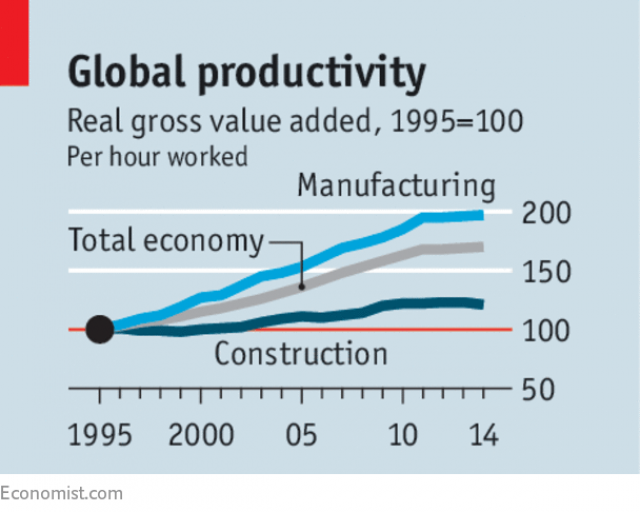 According to Mckinsey Research, the number one laggard in global productivity for the past several decades has been the Construction Industry, which even falls well below the total economic average for just about everything. This dismal state of affairs comes on the eve of what is expected to be an infrastructure boon spanning the next few decades. One has to wonder: isn’t this the perfect time to revolutionize and retool? Yet a recent Economist report as well as a McKinsey Research study shows an industrial-size reluctance to make the move. How Does a Good PM Tool Improve Productivity? Unlike general business tools, project management software deals specifically with what, say, a construction manager would be most concerned with: costs / scope / schedule and of course quality with a little risk management thrown in. Tools like Microsoft Excel and many new “project management” websites cannot help us much in this regard, at least not without a lot of effort and expense. Be able to juggle project costs, scope and schedule with ease. Have built-in or automated methods for the construction industry. Be relatively inexpensive, as not to negatively influence the bottom line. Project Plan 365 is a project management tool that helps the construction manager do what they need to do; all without the heavy price tag of say a Microsoft Project installation. Project Plan 365 allows you juggle project costs, scope and schedules like a pro, and even allows you to take your plan out to the field - so you can collaborate & coordinate with your on-site teams. 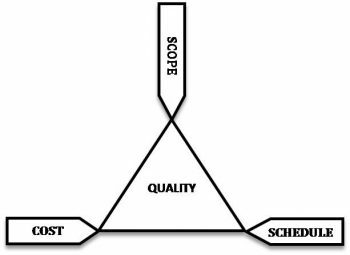 With a Project Plan 365 schedule, you can clearly see factors causing delays or balance resources in real-time while communicating any changes to others that need to know. Even if you are already working with Microsoft Project files, you can open those in Project Plan 365 with no data conversion needed – just pop open the file and go, even if all you have on hand is a simple smartphone or tablet. Project Plan 365 connects the head office with teams working on-site; in essence allowing team collaboration no matter where managers or workers are located. 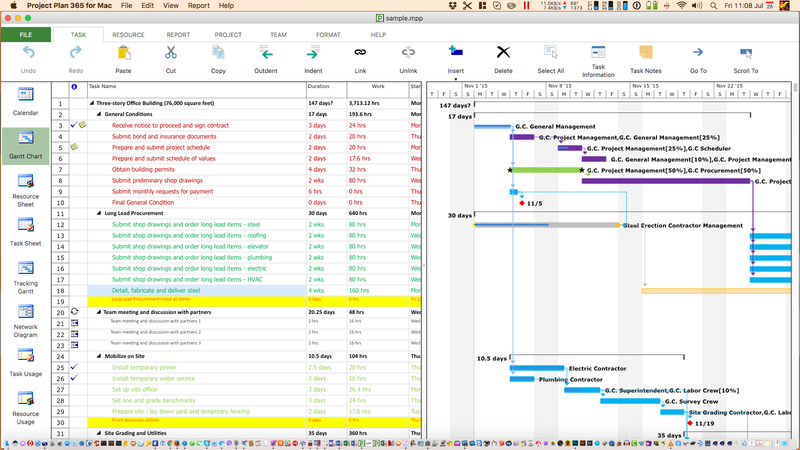 Allows everyone to view the schedule in whatever format suits them: Gantt charts, calendars, data sheets, etc. Project Plan 365 is driven by real numbers, making updating in real-time possible; never work from an old plan again! Project Plan 365 is the most cost-effective tool in the industry, yet is compatible with the most expensive (Microsoft Project 2016 and Primavera P6). Download and install the Project Plan 365 trial for whatever platform or device that you prefer. Edit your plan and save to any convenient cloud location like Dropbox, OneDrive SharePoint, etc. For more help, see the Project Plan 365 support library or check out this case study video for the Construction Industry. Also available is the popular Quick Start video.